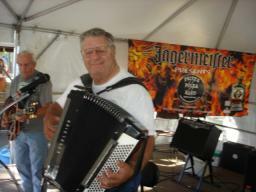 Fred and Fritz are shown here during FPB's gig at the Wheel Days in Brookfield, NY on September 30, 2007. 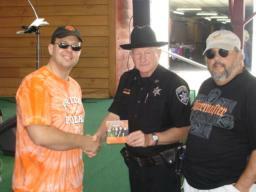 Fritz and Gabe are pictured here with one of Madison County's finest, Deputy Bob Story, during FPB's gig on September 30th in Brookfield, NY. 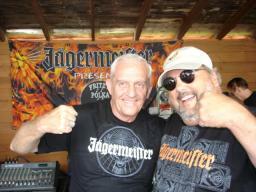 Bob has been a good friend of FPB for many years, and even did a few gigs with FPB a few years ago. Is this Wonder Twins power activate? Nope. 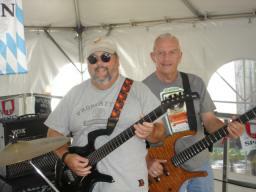 It's just Tom and Gabe goofing around during FPB's gig at the Wheel Days on September 30th. 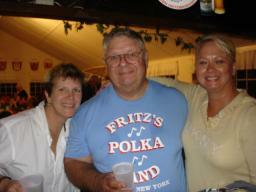 Fritz is pictured here with Katie during FPB's evening gig at the German Club Oktoberfest in Binghamton, NY on September 29th. Isn't it obvious that Katie could be a Jagerette? 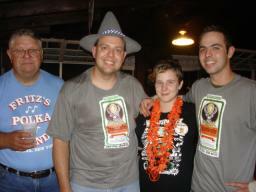 Fred and Fritz (decked out in his official Oktoberfest hat) and shown here with newlyweds, Alarie and Dan, on September 29th in Binghamton, NY at the German Club. 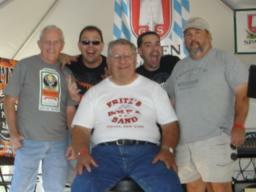 Fred is pictured here with a couple of new friends during a break at FPB's evening gig in Binghamton, NY at the German Club Oktoberfest on September 29, 2007. 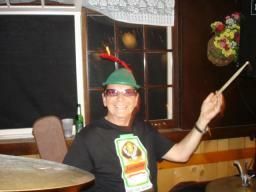 George (wearing an Oktoberfest hat) is pictured here during FPB's gig at the German Club in Binghamton, NY on September 29th. Tom, George, and Gabe strike a serious pose at one "festive" party during the afternoon of September 29th. 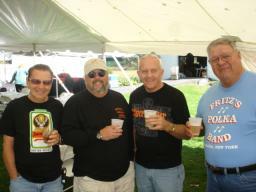 Mr. Thunder, The Retro Rocker, The Truck Driving Man, and The Highmarket Prince are shown here on September 29th during a break at FPB's afternoon gig in North Brookfield, NY. 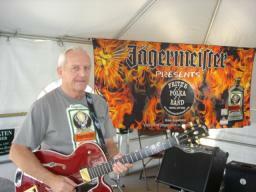 Gabe meets a new friend during FPB's afternoon gig in North Brookfield, NY on September 29, 2007. 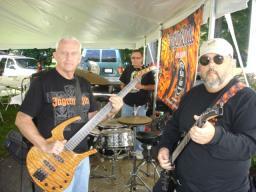 Members of FPB are pictured here before the start of their final set in Bear Mountain, NY on September 23rd. 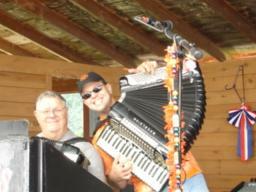 FPB tears through a tune in Bear Mountain, NY on September 23, 2007. Tom and Fred rip through a tune on September 23rd in Bear Mountain, NY. 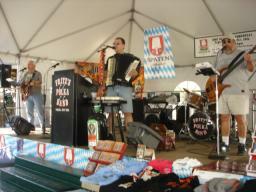 Gabe and Tom are shown here just prior to the start of FPB's 2nd set on September 23, 2007 at the Bear Mountain Oktoberfest in Bear Mountain, NY. 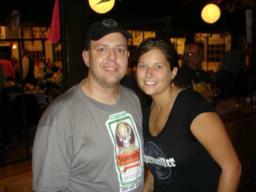 Tom models one of the new FPB/Jager t-shirts prior to FPB's first set at the Bear Mountain Oktoberfest on September 23, 2007.